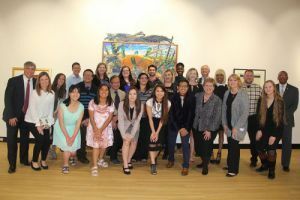 Twenty-seven Pensacola State College students recently were named Robinson Honors Program Scholars. The program was named to honor the late Grover and Sandra Robinson III who dedicated many years of service to Pensacola State. The Robinsons’ son, Grover Robinson IV, and his wife, Jill, established an endowment with the Pensacola State College Foundation in his parents’ memory. The endowment assists in offsetting the cost of small class sizes, seminars, travel scholarships and other unique opportunities associated with the Robinson Honors Program. The 2017 Robinson Scholars honored during a Nov. 29 reception were Daryl Calhoun, Michelle Coger, Eden Davenport, Joann Diestro, Angel Frantz, Felicity Gassin, Wren Godwin, James Harris Jr., M. Catherine Jernigan, Joyanna Jordan, Aminat Jubril, Aliya Kaufmann, Zoila Li, S. Marshall Monarchik, Ariana Moody, Cynthia Mulvey, Jennifer Ojeda, Quang Pham, Cristino Santiago, Gabriella “Ellie” Scott, Benny Segovia, Angelina Simmons, Taylor Smith, Jacquelynn Smotherman, Josephine Stehling, Samantha Taylor and A.J. Yates. Pensacola State College President Ed Meadows described the scholars the best and brightest future leaders. Some of those opportunities include trips to museums, cultural events and historical sites, international travel and attendance to Lyceum series performances and seminars. The honors program has been a life changer for (Cristino) Santiago, a pre-engineering major who is on track to graduate in May. “I’ve honed my leadership skills and learned some life skills since I was selected a Robinson Honors Program Scholar. I’m a lot more structured about my educational goals and what I plan to do with my life after college,” said Santiago who plans to transfer to the University of Central Florida. Santiago’s experiences are the goals of the Robinson Honors Program, said (Program) Coordinator Amber Carey. “The program offers a unique learning experience in a ‘college within a college’ atmosphere intended to cultivate critical thinking, encourage civic and community engagement and develop a synthesis of knowledge across disciplines,” Carey explained. During the program, Grover Robinson IV offered greetings from the Robinson family and Matt Deavenport, a senior global technologist with CH2M, delivered an interactive keynote address. Santiago, who is 25, said Pensacola State also has had a tremendous impact on his life. 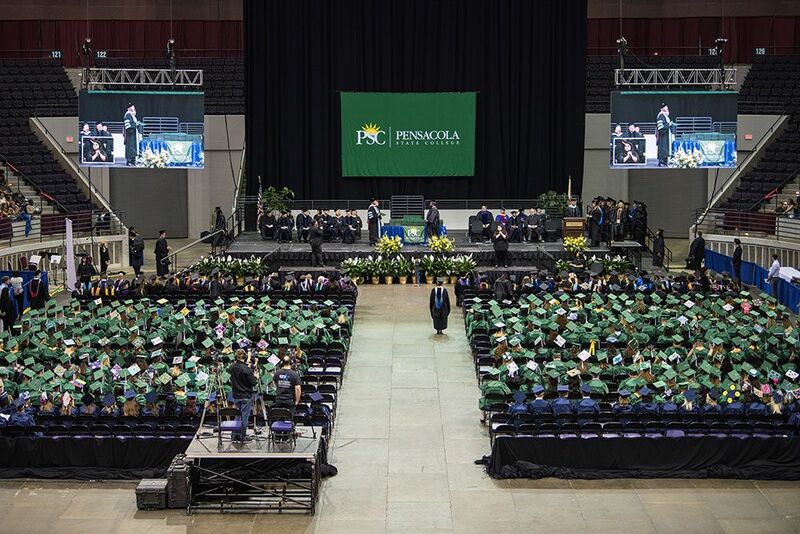 “Pensacola State College has really helped me get back on track, and prepared me for a transition to a four-year university,” he said, adding that five years ago he took a break from college. During that period, he worked at a call center and as an over-the-road truck driver. A work study student in the P.S.C. CARES program, Santiago also is president of the Student Support Services Club and active in the TRIO program. He wants to become a social media platform software developer.